← blog 94: In which I quickly recap the past 8 weeks – with beaucoup de pictures! It’s the last month of 2016. If this year is following the pattern of previous years, by my calculations, that means it’s December! I’m making a resolution to do shorter weekly blogs whether I’ve got anything to say or not. So that should be riveting. Still, I think you’ll agree that this is an excellent resolution, which I guess is why I have made it so many times before. Some random things that have happened since we last met. 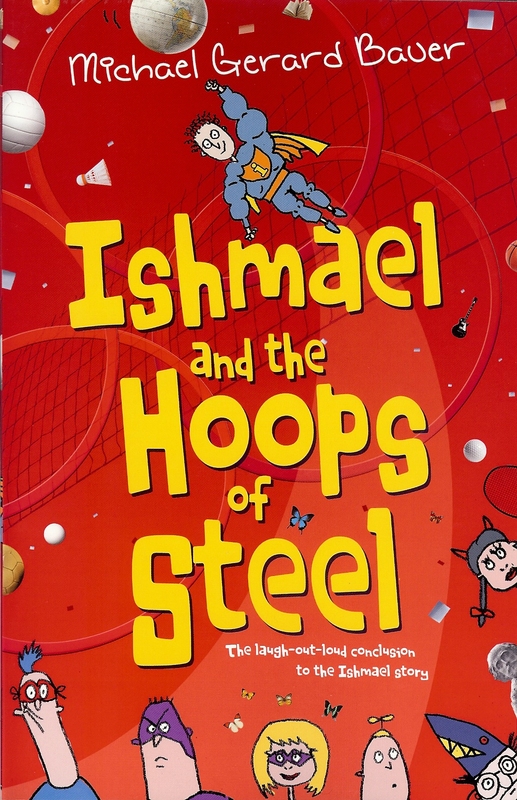 Nine years after it was first published Don’t Call Me Ishmael was up for a KOALA AWARD which was exciting. It didn’t win, but just look below at the brilliant company Ishmael and his friends were keeping! Congratulations to the winner Morris Gleitzman for Soon and to the Honour Books My Life As An Alphabet by my good friend Barry Jonsberg and The Last Thirteen #1 by James Phelan. My wife Adrie and I spent a few great days at beautiful King’s Beach Caloundra on the Sunshine Coast with the amazing creative forces behind ARTSPEAR ENTERTAINMENT – aka our son, Joe and daughter-in-law, Rita. I went to the launch of Nikki McWatters new book Hexenhaus which (witch?) I’m really looking forward to reading. I received copies of the German and Polish editions of Eric Vale Super Male and Eric Vale Off the Rails respectively. Hi from Joe and me to any Rupert Rau or Alek Topa readers! I attended the first Big Lit Quiz organised by Jenny Stubbs and the folks at Book Links and held at Padua College. A great fun afternoon that I hope will become a regular event. I was part of a crack authors’ team called Writers’ Bloc (get it?) featuring the amazing talents of Chris Bongers, Sam Wheeler and Richard Newsome. Unfortunately all their combined amazing talents weren’t enough to overcome the handicap of having me on the team and we finished in a position best summed up as ‘nowhere near first’. At home we had a huge tidy up of our garage and we installed some super-duper* (*technical term) new space-saving shelves. Here’s one of the many ‘shelfies’ I took on the day. Bwahahahahahahahaha! Go on, it was worth reading this entire blog just for that. Gold! My writing hero and writing inspiration His Bobness was awarded the Nobel Prize for Literature. Never in doubt, with daylight second. Cheers Bobby! Ard at our 50 Birthday Bash party for Bob in 1991. We survived this storm and when it was done the sky turned orange. I’m pretty sure it was a dress rehearsal for the End of the World. I continued to go on my fairly regular early morning or late afternoon walks but as you can see, when we hit summer down under in Oz, things really start to heat up. I’ll need to be careful. I wouldn’t want to lose TOO much weight. We went for a quick drive up to Mt Coot-tha lookout which is not that far from where we live. If you’re ever in Brisbane make sure you go there. You can get something to eat and drink at the Cafe or Restaurant and check out the wonderful views of ‘Brisvegas’. And finally, on a very sad note, Australia and world of picture books and children’s literature lost this most beautiful, talented and hilarious of ladies. Vale Narelle Oliver. Loved and missed by many. Well that’s about it. A lot of other things must have happened that I’ve forgotten about (was there something about an election in America?) but I think it’s high time I put you all out of your misery and signed off. I won’t insult your intelligence by yet again promising that from now on I intend to post much more regularly, but you know, deep down, I sort of secretly do. HOWEVER, if because of circumstances probably within my control I don’t actually get around to doing another blog before the largish, jolly, bearded man calls (no, not me!) I just want to say this: Thanks so much to anyone who has taken the time to read any of my rambling blogs and from Ard and me and all the troops we wish you and yours a love and laughter-filled Christmas and a very ‘Hoopy’ New Year. This entry was posted in Uncategorized and tagged Albany Creek State School, Alek Topa, Artspear Entertainment, Barry Jonsberg, Bob Dylan, Book Links, Booked Out Speakers Agency, Don't Call Me Ishmael, Eaton's Hill State School, Eric Vale Off The Rails, Eric Vale Super Male, Hexenhaus, James Phelan, Kings Beach Caloundra, KOALA Awards, Morris Gleitzman, Mount Coot-tha Lookout, Narelle Oliver, Nikki McWatters, Richard Newsome, Rupert Rau, Samantha Wheeler. Bookmark the permalink. 4 Responses to blog 95: In which I suddenly realise it’s December! Very upbeat and uplifting; just what this tired old soul needed right now. Merry Giftmass to you and all your fam, and may the largish, jolly, bearded man deliver you all a sack-ton of joy and creativity in the new year. Thanks so much Ged. I wish all good things for you and the family. Will pass on your wishes to Joe and Rita. I think for them it will be more Toon Sandwich spoof movie trailers on You Tube plus they’re hoping to make some new episodes of their comedy series The Void next year. Thanks for coming to my launch. Mia wanted to tell you that she finished The Pain (etc) and she LOVED it…..she did her final book report on it for the year for English and gave it five stars. My pleasure Nikki. It was a great night. Please thank Mia for me. It was lovely to meet her. Tell her she is definitely 5 stars in my book.